Chirag spearheads Innodel as a visionary leader offering 25+ years success enhancing enterprise operations, solving complex business problems, and creating competitive advantage through properly aligned advanced technologies and processes. 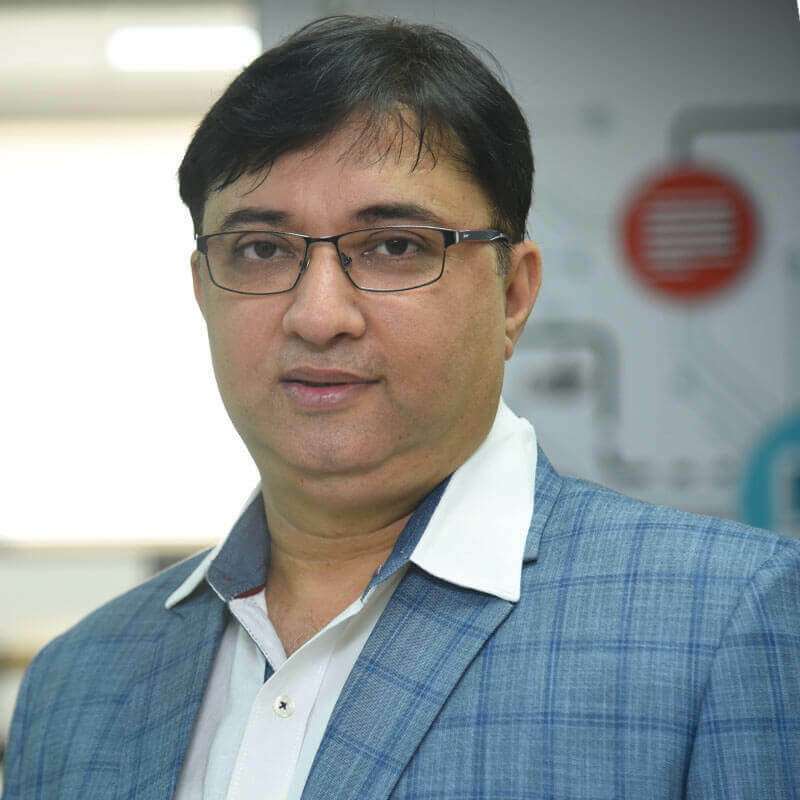 He has techno-commercial leadership accomplishments within global management & IT consulting, software services, research & development corporations, leading-edge start-ups and product firms. He is always on forefront, leveraging cutting-edge technologies, developing business and technology strategy, planning, and creating solutions to enhance organizational and business value. He has combined hands-on experience with leadership by example to build and mentor competent technology teams capable of handling any project while achieving superior results on limited resources. 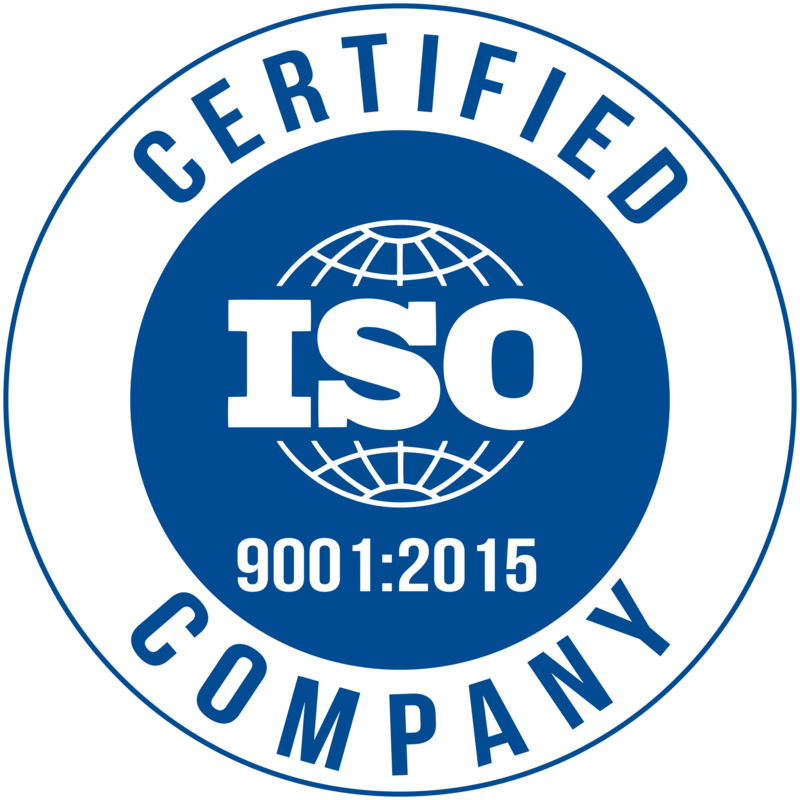 He relies on business savvy and technical expertise to create and execute strategic plans, negotiate agreements, and deliver sustainable revenue growth. He defines the vision and the strategic direction of Innodel, oversees the company’s expansion in India, North America, UK and Australia. He is science graduate with post-graduation in computer science and application. 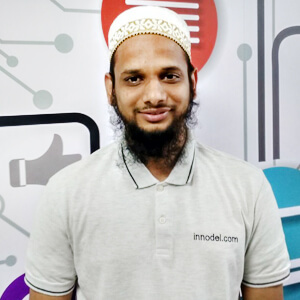 Since August 2016 Mohammed has been Head of Business Development at Innodel. He is in charge of new-customer business and loves working with clients across a variety of verticals to help them achieve their digital goals. Mohammed has completed his Master’s degree in Business Administration and comes with 4+ years of industry relevant experience. Mohammed specializes in applying his expertise and IT market knowledge in pre-sales activities, approaching clients with better understanding and preparing proposals & govt. tenders. His readiness and ability to accept challenge gives him command over developing new Business Development process. March 2011 onwards, Dhara has been one of a teammate and started her career from Software Developer to Sr. Analyst Programmer. 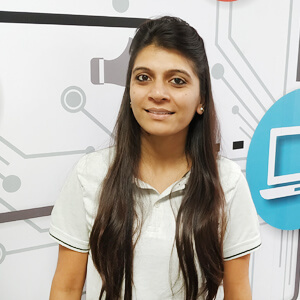 Dhara has completed her Bachelor’s degree in Computer Engineering and comes with a hands-on experience of 7+ years in technology. She is very ambitious and career oriented employee Innodel can ever get. Since October 2011 Shivani has been part of a team with different designations and roles from Fresher to Sr. Technical Lead. She has a master’s degree in Software Engineering. She helps a team by identifying problems and provide solutions, improving services, products, and individual. She has a passion to do coding so she also does development in some of the projects. Shivani is specializing in applying her experience in project analysis, architecture, design, work allocation to team and project delivery in a given timeline. Also encourages employees to implement new ideas. She is efficient in client communication to the help client for their solving queries, discussing new requirements and changes in existing projects. 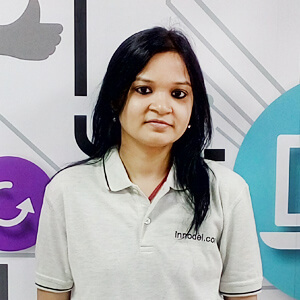 Rinkle has 7+ years of experience in analysis, structuring, designing and developing advanced web applications. She is transitioned through various roles over the course of her career from developer to senior technical lead. 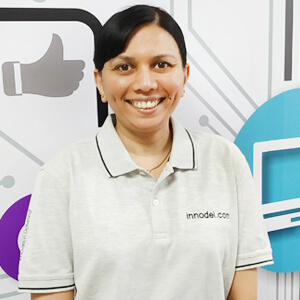 She serves as the technical lead, overseeing solution architecture, leading development team by example and helping them develop modern, highly scalable solutions. She is a fast learner, hard worker and highly adaptable to upcoming technologies. She has worked on a variety of systems including large-scale e-commerce, custom decoration industry, and hospitality management solutions. She is science graduate with post-graduation in computer application.